Nathan Henry was born in 1947 in Franklin, North Carolina. He was drafted into the U.S. Army on September 13, 1966, and was trained as an infantryman at Fort Campbell, Kentucky, and Fort Polk, Louisiana. Henry deployed to Southeast Asia in February 1967 and was assigned to Company B, 1st Battalion, 12th Infantry Regiment of the 4th Infantry Division in the Republic of Vietnam. Henry was captured during a firefight with the Viet Cong near the Cambodian border on July 12, 1967, and was held as a Prisoner of War in South Vietnam, Cambodia, and North Vietnam over the next 6 years. 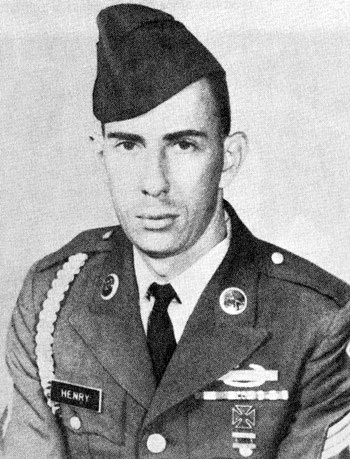 After spending 2,063 days in captivity, SSG Henry was released during Operation Homecoming on March 5, 1973. He was briefly hospitalized to recover from his injuries at Fort Gordon, Georgia, and was medically retired from the Army on July 26, 1973. 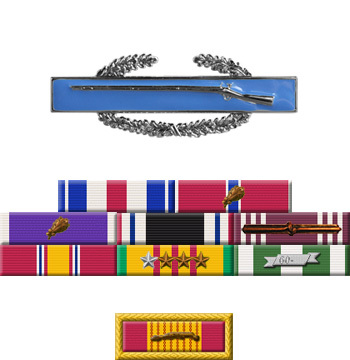 Staff Sergeant Nathan B. Henry distinguished himself by gallantry and intrepidity in action as a Prisoner of War in connection with military operations against an opposing armed force in Southeast Asia on 6 November 1967. With profound courage and a strong conviction in the Code of Conduct he escaped from an enemy prisoner of war camp, knowing that the odds for success were slight and that if recaptured he would receive torture and long periods in solitary confinement. The success of his escape was short lived, and he was recaptured and punished. This soldier's actions were in keeping with the highest traditions of the military services and reflected great credit on himself and the United States Army.